Keeping East St. Louis Flowing For More Than 25 Years! Culler Plumbing Services is East St. Louis’ go-to plumbing company for all routine and emergency plumbing services in addition to remodel, excavation, and water appliance installation. Drips, leaks, clogs? Contact us to get you flowing today! An All-American local plumber for an All-American city. Home to the Gateway Geyser, East St. Louis is a city built with some of the best plumbing around. This is one of the many reasons why Culler Plumbing feels right at home here! East St. Louis is packed with rich history and culture, and we respect every aspect of this unique place. Our remodeling services bring modern and state-of-the-art plumbing to old buildings, preserving the rich history while updating the function with modern piping and plumbing. 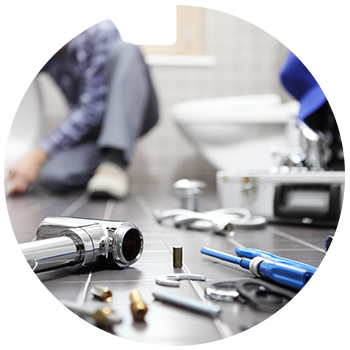 All of our plumbing services are provided by highly skilled and experienced local plumbers suing top-of-the-line equipment. Because we charge by the job and not by the hour, you can rest assured that our plumbing services are delivered in an efficient manner. Whether you need routine or emergency plumbing services, Culler Plumbing Services is your go-to plumbing company! If you have noticed a slow increase or a recent spike in your East St. Louis water bill, you may be searching for reasons why and wondering who can help. At Culler Plumbing Services, we are the subject matter experts in all things water in Metro East Illinois. If you are looking for a trusted contractor to help detect the source of your high water bill and get it back down to a reasonable rate, affordably, you’ve found the right team! If you have seen any rise in the rate of your water bill, it means that you are using more water somewhere. If you have not recently installed a swimming pool or other water-consuming equipment such as a sprinkler system, washing machine, freezer with built-in ice maker, or a dishwasher, the water usage must be somewhere else. Before you review our list or call your local plumber, first attempt to identify any bad water-wasting habits inside your home. Does your family wash half loads of dishes or laundry, take long luxurious showers, run water while they brush their teeth or wash the dishes, or forget about the sprinkler they turned on? Speak to your housemates about their water usage habits, and, if all seems to be in order, check out our list for other possible culprits. Luckily, if you notice any symptoms of a plumbing system that is operating as subpar, you have a talented local plumbing company that is ready to help. Our technicians can perform a plumbing system inspection that includes camera inspections of your pipes, an evaluation of the functioning of your water-using appliances, and can diagnose the cause of your water loss. If there is an issue, our plumbing crew can make the necessary repairs, including routine drain de-clogging all the way to a full excavation of your main pipeline. 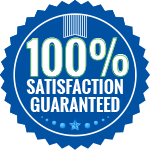 At Culler Plumbing Services, we charge by the job, not by the hour, all backed by our workmanship warranty and satisfaction guarantee. We are also licensed, bonded, and insured, so you can be sure that you are getting the best quality work at an affordable price. Contact us to schedule your plumbing inspection today!